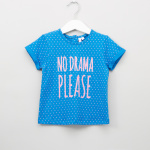 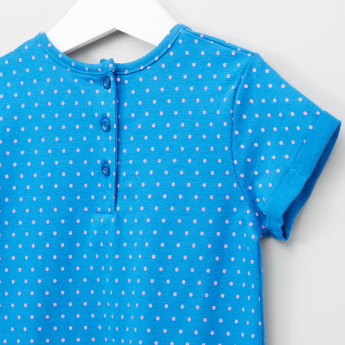 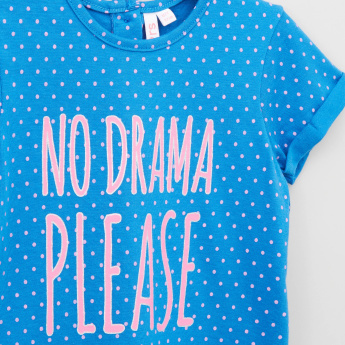 Lend a charming look to your little girl with this printed t-shirt. 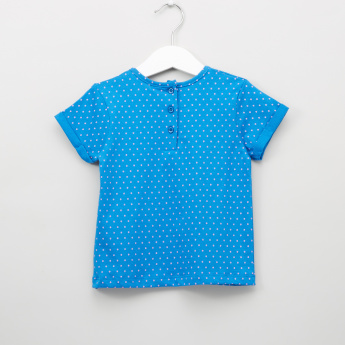 Boasting of back button closure for easy dressing and short sleeves, this t-shirt spells immense style. An ideal pick for everyday wear, this t-shirt will look amazing with any pair of casual pants.